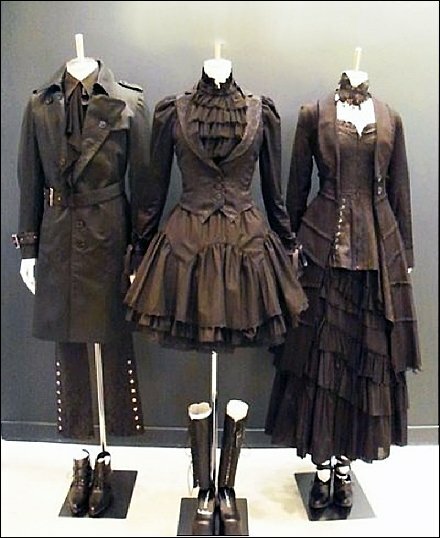 Goth vs Halloween Styles — what better mood and style philosophy for Halloween than Goth? And your Goth windows should look this Victorian and yet trendy. I love the styles, but am not Goth enough in heart and mind to pass muster. Maybe you can fare better. This Pinterest image courtesy of Patrick Welker via Sarah Scaggs-Myers ultimately tracking back to Goth Charm School, the original source. If you know a correct way to publish an online source citation that complex, please let me know. My MLA Style Sheet is from a long forgotten academic era, and my thesis was design in nature, not requiring the subtleties and sophistication of correct footnotes and bibliography. In other words, I faked it.